July 31, 2018 — It’s not always the big things that matter. In fact, when you’re revitalizing a struggling community, it’s often the little things. 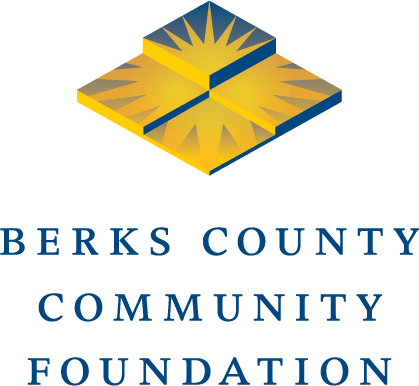 Berks County Community Foundation has been a leading supporter of efforts to revitalize downtown Reading, which we see as the region’s most promising opportunity to fuel economic growth. A diverse series of free concerts called Downtown Alive has been drawing thousands of people to Penn Street. There’s also the weekly Penn Street Market (a farmers market with music and lunch vendors) in the summer and a wide range of arts and culture activities in the heart of downtown that are bringing people back, all funded by the Community Foundation. And of course, the existing restaurants, Santander Performing Arts Center and Santander Arena all add to the action. The real results are starting to show as well. Lang, the popular Vietnamese restaurant, recently returned to downtown after spending a few years in the suburbs. Gourmand, one of the food truck vendors at the Downtown Alive events, is opening a physical site downtown, and Saucony Creek Brewing is moving into the old Franklin Street train station. Weidenhammer is finishing construction of its building at Fifth and Penn streets and, right next door, Liberty Environmental has moved in to occupy the old Stichter Hardware building. With more to come, it’s clear that big things are happening downtown. A few days ago, a little but very important thing happened. At the direction of Reading Mayor Wally Scott, the Reading Area Water Authority repaired and reconnected a water fountain at the corner of Fifth and Penn that had been sitting dormant since the 1970s. It’s a historic fountain, donated by the Women’s Christian Temperance Union in 1904. Now fixing a water fountain might not seem all that important, but it is. It says to visitors that we care about what our downtown looks like. It’s like fixing a broken window in your house. After all, this is the main square of our county, the historic center of our region. We should take pride in how it looks. The fountain is surrounded by incredibly great architecture. The fountain should function. It also says that the mayor of Reading cares. Mayor Scott has consistently said that downtown revitalization is a priority for him, and he cited “all the things going on downtown” in his conversation with the Reading Eagle as his reason for ordering the fountain repaired. In the years that the Community Foundation has been working on downtown revitalization, it has not always been easy to convince mayors of the importance of this effort. Mayor Scott has been a stalwart ally in the effort and the success we’re seeing downtown is due in no small part to his support. Sometimes the victories are big things, like new businesses or restaurants. And sometimes, they’re little things like a water fountain getting reconnected. So next time you’re downtown for a concert, stop by for a sip of water!